Is Real Madrid a possibility? When Cesc Fabregas joined Chelsea on June of 2014, he lost many of his fans as the Arsenal supporters did not want to see the Spanish midfielder joining one of Arsenal’s rivals. However, even though not many Arsenal fans agreed or were happy to see Fabregas joining Chelsea, the skillful player completed his move to Stamford Bridge and now he has turned into one of the most influential figures of Chelsea. Even when the transfer was officially completed, it was still fairly hard to believe that Fabregas had joined Chelsea especially after all the time that he had spent performing for Arsenal at the Emirates Stadium. Read more about Is Real Madrid a possibility? There are rumours going on involving who will be the next coach of Chelsea after the end of Guus Hiddink’s contract reaches and there are a lot of names that are being thrown out and Hiddink himself has revealed one of the candidates that he believes that can arrive to Stamford Bridge and take up the managerial position. Hiddink is expected to leave Chelsea at the end of May and the Premier League club is already searching around for someone who can take charge of the main squad for the years to come and Pep Guardiola has revealed his desire to coach a Premier League club, which is excellent news for Chelsea as they are in need of a manager who was won major titles. Read more about PEP FOR CHELSEA? Barcelona superstar Neymar is the natural successor to Lionel Messi according to Chelsea midfielder Cesc Fabregas, who has witnessed the duo from up close. Fabregas played with Neymar for 12 months before coming back to the Premier League with Chelsea. Neymar was not as influential in his first season, but he has improved tremendously in the last 12 months. He is now in a position where he can win the FIFA Ballon d’Or award after being named in the three-man shortlist. The winner of the award will be announced in the second week of January. BBC football pundit Alan Shearer says that Chelsea’s recent 3-0 loss was largely down to the absence of impact by Cesc Fabregas. The Spaniard had a brilliant first half of the campaign last season and this was seen as an important reason behind the team reclaiming the league title after five years. However, the champions are in danger of losing their crown sooner rather than later after making a very poor start to the season. Following the 2-2 draw with Swansea on the opening day, the blues lost 3-0 to City at Etihad stadium. Can Cesc Fabregas rediscover last season’s form? Chelsea’s 2-0 victory over Porto was a huge step in the right direction towards lifting the considerable cloud that has hung over Stamford Bridge this season, but the game could also serve as a wake-up call for Cesc Fabregas. The Spanish midfielder was dropped to the bench for the important Champions League game that Chelsea could not afford to lose, but the team managed to get the job done in front of a very happy, yet relieved, home crowd. Coral may still consider the Blues’ chances of going all the way in Europe this season as slim at 14/1, but if Fabregas can rediscover the sort of form that saw him register eighteen Premier League assists then Chelsea could enjoy success away from the league. 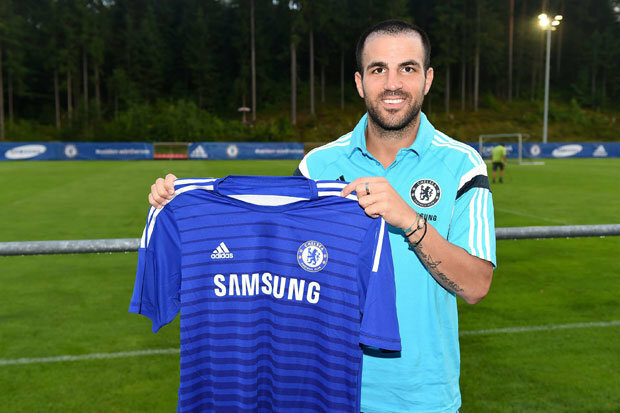 Read more about Can Cesc Fabregas rediscover last season’s form? Chelsea travel to Etihad stadium looking for their first win of the season in one of the most difficult home grounds to get a result. Midfielder Cesc Fabregas is aware that Manchester City will post one of the biggest threats for Chelsea between now and end of the season.They have made a stunning start – after a 3-0 win over West Brom – and will be looking to continue the same in front of the champions. The blues have been looking devoid of ideas during pre-season and this poor form has continued into the season as well. Diego Costa has come under a lot of criticism following his actions against Arsenal in the recent 2-0 win for Chelsea. Chelsea star Eden Hazard says that the addition of players like Cesc Fabregas and Diego Costa has helped him take his game to the next level. Cesc Fabregas failed to win the Premier League despite being at Arsenal for almost a decade. It took Cesc Fabregas almost 9 months for him to lift his 1st title as a player of Chelsea as the Spanish midfielder secured the Football League Cup on March 1 after his team claimed a 2-0 victory over Tottenham Hotspur. Goals from John Terry and Diego Costa helped seal the victory for Chelsea as they played at the Wembley Stadium in London in a match that Chelsea controlled from the start till the end.